Dr. Anand Singh is a skilled and experience clinical radiologist and has worked with Paras Hospitals and Hindu Rao Hospital. 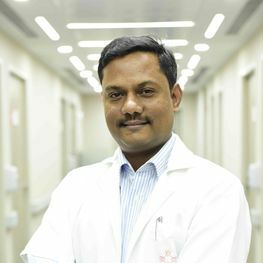 He completed his MBBS from Baba Raghav Das Medical College in Gorakhpur and Diploma in Medical Radiology and Electrology from K J Somaiya Medical College in Mumbai. His areas of interest include image guided interventional procedures, diagnostic ultrasounds, dopplers, intraoperative ultrasound, obstetric and fetal USG with 3D and 4D imaging specialized, angiography and CT.